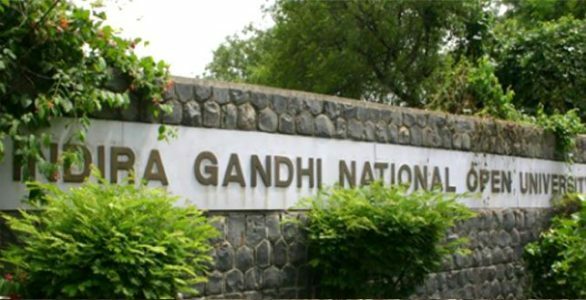 IGNOU Admission 2019: Indira Gandhi National Open University has released the document details for the January session admission 2019. IGNOU recently started the online application for the January session admission 2019. Interested and eligible candidates for the IGNOU admission 2019 can apply for UG, PG and Diploma courses on the official website till 31st December 2018. IGNOU use to hold the admission process twice in the year, one in the month of July and another in the month of January. Now IGNOU has been ongoing with the January Session admission for the year 2019. Know the important dates & documents required for IGNOU January session admission 2019 below. Indira Gandhi National Open University activated the link for the January session admission 2019 on the official website. IGNOU from 6th of November 2018 has begun the filling up of the application form and the last date for the same will be 31st December 2018. Below are the mentioned documents required for the filling up of the admission form for the year 2019. Candidates check out the list of documents required for Indira Gandhi National Open University admission 2019- Scanned photograph (less than 100 KB), Age proof, Signature (less than 100 KB), educational qualification certificates, Category certificate (if necessary), Experience certificate (if any). Also, the candidates need a credit or debit card to pay off the registration fee of Rs. 400 for the same. Indira Gandhi National Open University started the online application for January session admission 2019 on 6th November 2018 and will end by 31st December 2018. Although no hard copy of the application will be entertained by IGNOU, as applicants have to apply online via the official website i.e ignou.ac.in. Interested candidates can first register themselves and then fill up the online application form for January admission 2019. IGNOU has opened the admission process for all UG, PG and Diploma courses for January session 2019. Although interested candidates for B.Ed and MBA admission in IGNOU can apply till the last date i.e 15 November 2018. Whereas for further more details regarding the IGNOU admission for January session 2019, one must keep a regular tap on the official website of Indira Gandhi National Open University.